The rebellion continues! The Star Wars Rebels TV show has been renewed for a fourth season on Disney XD. The 3D CGI animated TV series is a prequel to Star Wars: Episode IV – A New Hope, the first released live-action feature in the film franchise. 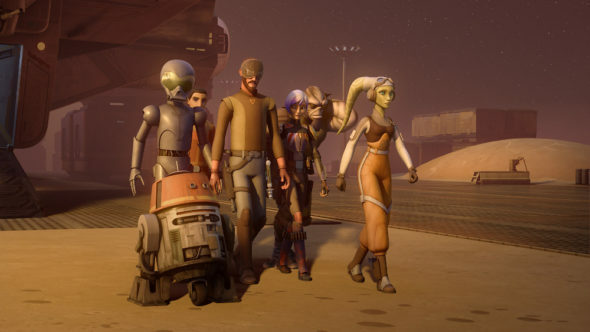 The Star Wars Rebels voice cast includes Taylor Gray, Freddie Prinze Jr., Vanessa Marshall, Tiya Sircar, Steve Blum, Dee Bradley Baker, David Oyelowo, Forest Whitaker, Sam Witwer, Tom Baker, and Lars Mikkelsen. Season four is already in production. Check out this Disney XD Press release for details. 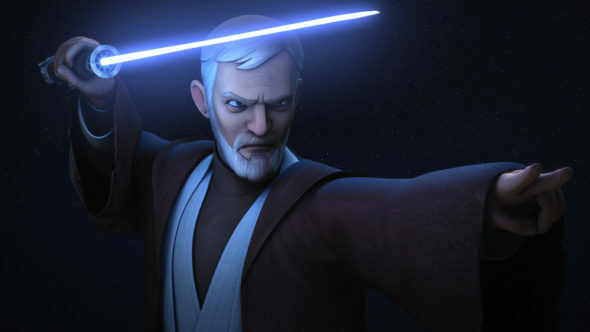 Production is underway on the fourth season of the acclaimed animated series “Star Wars Rebels” from Lucasfilm. The fourth season is scheduled to premiere on Disney XD later this year continuing the thrilling and inspiring galactic adventures of the Ghost crew. Currently in its powerful third season, “Star Wars Rebels” continues to drive the Star Wars saga into new, unexplored realms of the galaxy and promises new surprises and action-packed adventures. Fans can look forward to more details and an announcement about the exciting fourth season of “Star Wars Rebels” during Star Wars Celebration in Orlando this April! “Star Wars Rebels” is created by Dave Filoni (“Star Wars: The Clone Wars”), Simon Kinberg (“X-Men: Days of Future Past”) and Carrie Beck. The Lucasfilm Animation production is executive produced by Filoni and Kinberg. 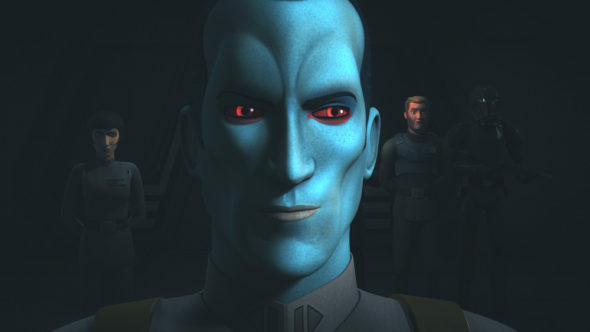 The Season Three voice cast includes Freddie Prinze Jr. as Kanan, Vanessa Marshall as Hera, Steve Blum as Zeb, Tiya Sircar as Sabine, Taylor Gray as Ezra, Dee Bradley Baker as Captain Rex, David Oyelowo as Agent Kallus, Forest Whitaker as Saw Gerrera, Sam Witwer as Maul, Tom Baker as Bendu and Lars Mikkelsen as Grand Admiral Thrawn. In 2016, “Star Wars Rebels” was Disney XD’s #1 series in Total Viewers and its #1 animated series across key kid and boy demographics, and generated more than 60 million consumer engagements across digital platforms. Check out StarWars.com for more exciting news on the series. What do you think? Are you glad Disney XD renewed its Star Wars Rebels TV show for a fourth season? How would you feel if they had cancelled this animated series, instead?